What is the purpose of this? How is it that these cowards can get into buildings fully armed and kill people unabated, unobstructed, and yet filled with keywords. Could it be International Terrorism? Could it be domestic Terrorism? And let me not forget, there was a drill going on in the vicinity. Yes the infamous drill that went live, again. Are you surprised? Are you startled? Are you frightened? Are you ready to give up more than you gave up yesterday? Just plain, ole, are you ready for this again? Sometimes, I have to sit and wonder, what is the message they are trying to give Obama? For some reason all these breeches of security seem to be sending a deeper message. Like that dude that jumped the white house fence during their dinner party. Can I get a witness? 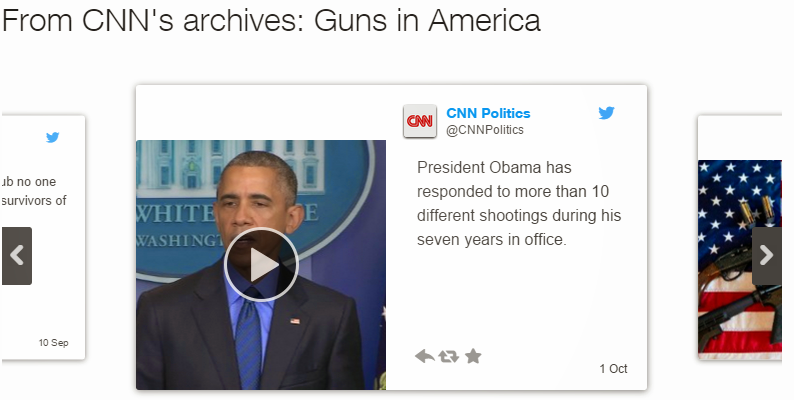 I mean how many of these events took place during Bush’s administration? I’m not counting but it surely does seem like more than I have ever seen before. It’s purely conjecture on my part but it certainly seems strange to have all of these killings and mass murders and disruptions and breeches of security during the Obama Administration. 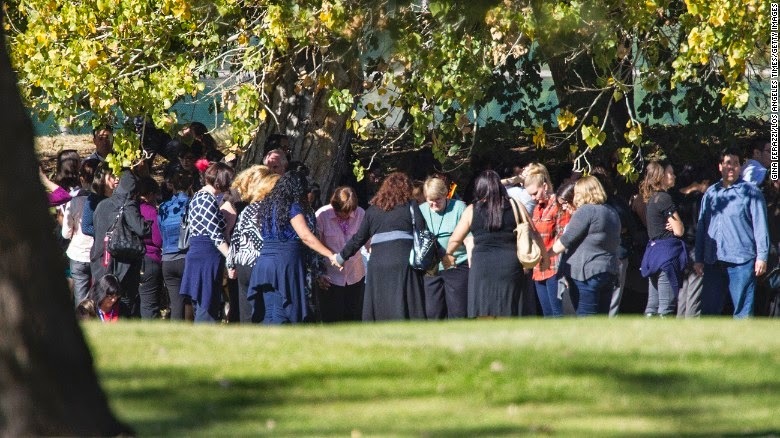 At least 14 people were killed and a suspect was dead Wednesday after up to three gunmen on a “mission” barged into a holiday party in a California conference room and unleashed a bloodbath, law enforcement sources told NBC News. The gunman or gunmen fled in a black SUV after the shooting about at 11 a.m. (2 p.m. ET), police said. About 4½ hours later, multiple police cars were involved in a high-speed chase nearby with three people in a dark truck or SUV, law enforcement sources told NBC News. Two of the suspects were shot, the sources said – one was killed, and the other was unresponsive after having been wounded in the chest. The location of the third person wasn’t immediately clear, but San Bernardino police Sgt. Vicki Cervantes said a third subject was believed to be “outstanding.” NBC Los Angeles broadcast video of officers ringing a black vehicle after the shootout. At least 10 of 17 wounded are in critical condition. Police arrested at least one suspect after shootout hours later. The shooting erupted during a holiday party in a conference room. Federal agencies are assisting the investigation. Cervantes said that one officer was shot in the confrontation but didn’t suffer a life-threatening wound and that one suspect possibly remained at large. Seventeen other people were wounded when the shooting started inside the Inland Regional Center in San Bernardino, about 55 miles east of downtown Los Angeles, police said. Authorities said 10 of the 17 injured were taken to hospitals in critical condition. Fire Chief Tom Hannemann said three people were in serious condition. It appeared to be the worst mass shooting since the December 2012 slaughter of 20 first-graders and six staffers at Sandy Hook Elementary School in Newtown, Connecticut. “We don’t yet have a motive,” the chief said, adding that the getaway vehicle was a black SUV of some kind. Burguan warned that the death toll could climb as investigators continued to search the building. “This is a tragedy,” he said. —Yet another mass shooting where, by chance, a training exercise was going on during or prior to the event. San Bernardino, east of Los Angeles. Reports state several shooters in a cluster of three office buildings that employ 600 people, 20 victims down, and shooters apparently at large. Training exercises dovetail with mass shootings What are the odds? Watch Live: NBC Special Report on Shootings in San Bernardino, California. President Barack Obama called for stricter firearms laws as after a mass shootingin California that left at least 14 people dead, calling the spate of gun violence in the U.S. “unparalleled” to other countries. Obama spoke with CBS News Wednesday as the shooting at a center that serves the developmentally disabled in San Bernardino was still unfolding, and cautioned that much was still unknown. “It does appear that there are going to be some casualties, and obviously our hearts go out to the victims and the families,” Obama said. Did You Know That Broccoli is a Man-made Food?